As President of Barbara Meltzer & Associates, Barbara personally directs and actively participates in all aspects of the company’s wide variety of services. Barbara's career began in her hometown of New York City, where she worked on NBC's Tonight Show Starring Johnny Carson for 10 years as Assistant to the show's Producer. After then serving as Associate Producer of several ABC-TV comedy specials, she moved to Los Angeles to briefly rejoin Tonight before becoming Director of NBC-TV's Creative Services Department. As Director, Barbara supervised various Public Relations campaigns for the network's programming, as well as developing and overseeing major corporate and affiliate station events and special activities. She also planned and coordinated national public appearance tours for NBC talent. Several years later, Barbara turned her attention from commercial to public broadcasting, joining LA's then PBS station KCET-TV as Executive-in-Charge of Talent. Barbara returned to Public Relations as an Account Executive for Boonshaft-Lewis & Savitch, a Public Relations and Government Affairs agency. 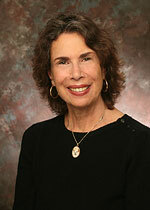 After several years with the firm, she launched Barbara Meltzer & Associates Public Relations and Marketing. Barbara's ongoing interest and involvement with the 50+ demographic prompted her to form a special division that provides services to clients targeting Baby Boomers and beyond. In 2007, Barbara's active civic engagement in matters related to persons who are 50 years and older led to her appointment as a Commissioner on the Los Angeles County Commission for Older Adults (LACCOA), where she currently Chairs the Communications Committee. In 2009, Barbara was awarded LACCOA's "LINK Award," which is presented to a Commissioner each year for outstanding volunteer service on behalf of LA County's senior population. In 2013, she became the Commission's first two-time recipient of that prestigious Award. At the request of a West Hollywood City Councilmember in 2010, Barbara produced a half-day symposium for the city, the theme of which was creating age-friendly communities. Titled Pathways to Positive Aging: Creating Communities for a Lifetime, the event drew a standing-room-only audience. In May 2013, Barbara was honored by the City of West Hollywood for "outstanding contributions to the city." Barbara's service to West Hollywood increased in 2013 when she was appointed to the Human Services Commission. In addition to overseeing all of the city's provided programs and services, the Commission has been given the lead in the planning and implementation of the West Hollywood Aging-in-Place Initiative, which is based upon the World Health Organization's Age-friendly Cities template. In her role as caregiver to her mother, Barbara personally learned about the challenges and satisfaction of caring for an elder parent. Frequently asked to speak about the issue of caregiving, Barbara has appeared on NBC-TV's Nightly News and Today in LA, and has been interviewed on the subject by the Wall Street Journal. Many of her personal stories about her journey as a caregiver have appeared in various publications. Barbara serves on the Editorial Advisory Committee of Aging Today newspaper, which is published by the American Society on Aging. She has Guest Edited three of the paper's In Focus sections, the themes of which were "How Friendship and Intimacy Make Later Years Healthful and Rich", "What Does Aging Really Mean?" and "Women and Aging". Currently Vice President of the Friends of the West Hollywood Library Board of Directors, Barbara has served as Board-Member-at-Large for the Life Planning Network, as Vice President of the Board of Directors of the Public Relations Society of America's LA Chapter and as a member of the Advisory Board for Osher Lifelong Learning at UCLA. Barbara taught "Public Relations for Nonprofit Organizations" for UCLA's Extension Division for five years, and has led workshops for the Southern California Center for Nonprofit Management. In addition, she wrote "Scene in LA," a monthly column for Southern California Senior Life (now known as Life After 50), and "Aging Matters," a bi-weekly column for WestHollywoodPatch.com.